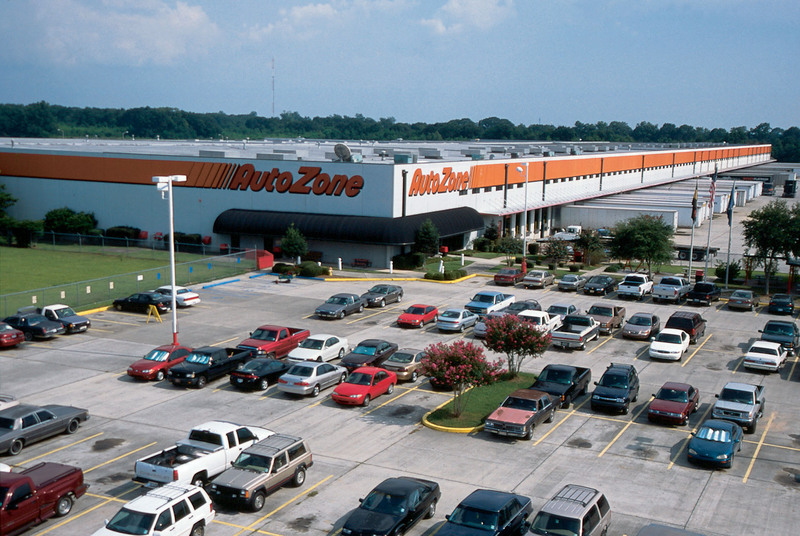 AutoZone is the second largest aftermarket auto parts retailer in the United States, with over 5,000 outlets, 70,000 permanent employees, and operations as wide as Mexico and Brazil. The publicly traded company is headquartered in Memphis, Tennessee, and makes multi millions in revenue every year while trading on the New York Stock Exchange. William C. Rhodes currently serves as Chairman, President and CEO. The online store is found at AutoZone.com. Here customers can make great savings on their purchases by using out special AutoZone coupons. We update our list whenever new offers and deals become available, so be sure to check back before ordering. You can even find AutoZone in store coupons if you prefer to shop at an outlet. When you spend $100 at AutoZone, you'll get a free $15 gift card On Ship To Home Orders! The company was founded in Forrest City, Arkansas, in 1979, where it was originally branded as Auto Shack. It was forced to rebrand as AutoZone due to a conflict with the “Radio Shack” company's trademark. It was a division of the Malone & Hyde wholesale grocer, before The Fleming Companies of Oklahoma then bought out the grocery venue. During the 1980s, the company expanded exponentially. Implementing new strategies and an innovative quality control program, including the WITT-JR electronic catalog that allowed customers to search for parts and warranty information. This led to them also implementing a computerized system of store management. In 1991 the company first went public on the NYSE under the symbol “AZO," and continued to expand, including launching its online ecommerce site at AutoZone.com. AutoZone locations are not franchises but stand alone facilities dispensing auto products, accessories, and related services. In the 2000s, things really went up for AutoZone. Adding new stores that interconnected via satellite and web sites. Their Duralast line continued to grow in popularity as well. Partnerships arose with such stellar companies as CarMax, Midas, and more. If you regularly find yourself buying from the company, then it's a good idea to sign up for their rewards program. After you make five purchases with an order total above $20, you'll receive an extra $20 in rewards to use when shopping at the store. This is a great way to save money without having to use Autozone printable coupons or anything. One convenient way to get your hands on what you're looking for is to shop online, then simply head down to your closest store to pick up the merchandise. Right now, you could even get your order shipped to your home with free shipping. There are all sorts of things that can go wrong with your vehicle and can need fixing. If you need a little help getting the job done, then make sure that you check out how-to center on the Autozone website. This section offers videos and articles that will help you handle much-needed repairs yourself and possibly save a lot of money. AutoZone has one of the broadest auto parts inventories in the United States. You can either browse products by going through the various categories, or to speed up the process you can enter your vehicle make or model in to the search bar to find parts that are only relevant to you. The main categories include Auto Parts, Accessories for the interior and exterior (stereos, seating covers, hood scoops, window covers), Towing equipment (hitching, mounts, and more), Auto Tools, Chemicals & Fluids (oil, transmission, paint, wash cleaners), and Performance Parts (engine, exhaust, intake etc). Replacement parts span all aspects of the vehicle, including the Drivetrain, Body & Hardware, Batteries, Braking system, Cooling & Heating, and Electrics. Popular brands stocked by AutoZone include Actron, SilverStar, Reese, Duralast, Bosch, Flowmaster, K&N, Mr. Gasket, B&M Racing, Pilot Automotive, Fram, LeBra, and many others. The Hot Deals page is where you will find all of their sale items. These savings can be compounded by using one of our AutoZone coupon codes. AutoZone allows you to make payments with Paypal, Paypal Credit, as well as common credit cards like American Express, MasterCard, Visa, and Discover. You can also use their branded gift cards for all or part of your order. 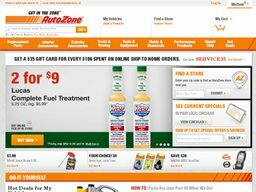 To redeem an AutoZone coupon code online, all you have to do is copy the code over from Coupofy and paste it in to the promo box before payment. Obviously any AutoZone printable coupon must be handed to the cashier in-store. US AutoZone customers automatically qualify for free ground shipping on all orders over the value of $75, which will be fulfilled by the USPS or FedEx. Oversized freight orders are excluded. You can also pay extra for Standard delivery, which takes 3 to 5 days, Rush delivery, which takes 2 to 3 days, and Express, which aims for next day delivery. The price of these options is dependent on the size and value of your order, and APO/FPO/DPO and U.S. Territory addresses are subject to extra charges. AutoZone operates a flexible return policy that allows you to return items for free to your local store, or by shipping it back to the local fulfillment center. While there is no set time-frame for doing so it's advised that you return unwanted or defective items as soon as possible. Unwanted orders must be returned with items in their original packaging in a resellable brand new condition. All orders come with a returns form but you will have to obtain your own shipping. The cost of this can only be reimbursed if you received the item in a defective or damaged condition. @ChrisMeadRN Mean's we're doing our job. Happy driving! @kellsm_ Glad we could help. One day you will be able to do it on your own! @AustinHughes99 Sorry to hear that. Stop by your nearest AutoZone and we'll check it for you for free. @vanessa_xoxoxoo Sorry to hear that. Stop by your nearest AutoZone and we'll check it for you for free. @Samarzipan Sorry to hear that. Stop by your nearest AutoZone and we'll check it for you for free.